Reading The New York Times can be a frustrating experience for an art lover. The Times persists in an annoying misunderstanding; namely, that news about the art market is art news. No and no: art news is news about art and artists, and (sometimes) museums and galleries. The art market is about money, sales and expenses – those stories belong in the Business section. When the Times hits the right note, it’s a positive pleasure, as with Roberta Smith’s review of the Flora Crockett show at Meredith Ward Fine Art. The first thing, even before reading beyond the headline, is a question: Flora who? This is not, sadly, an unusual question: women artists are often under appreciated, neglected, and, at times, patronized. It’s an attitude that has been passed on from more patriarchal times, one which today’s art world and the timeline of art history are still grappling with. Flora Crockett had only a few shows in her lifetime (1892-1979), and no shows during the last, most productive period of her life: after a group show at the Overseas Press Club in New York City in 1965, she showed nothing. 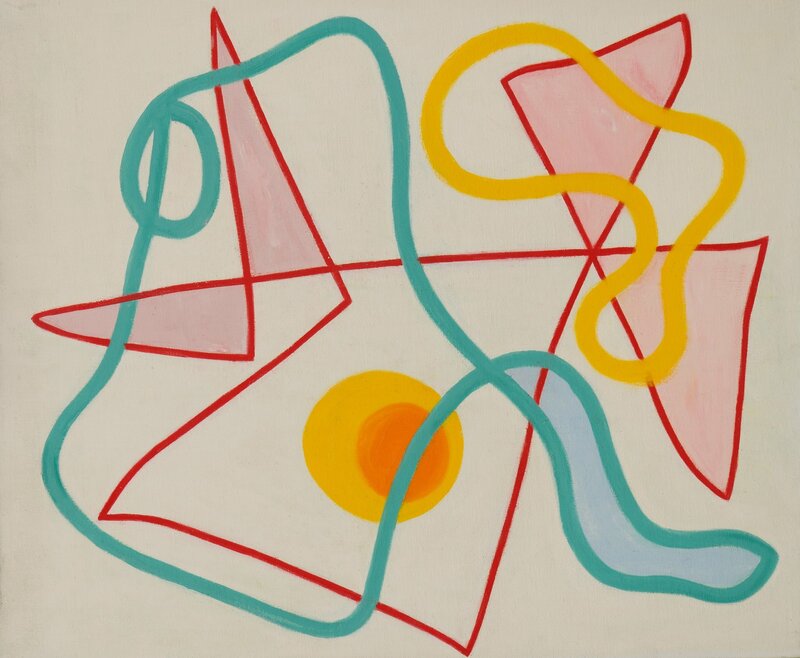 The Meredith Ward exhibition seeks to correct that, showing works from 1966 on. Her sense of color reminds me somewhat of Josef Albers, though that is the only way the two are alike. 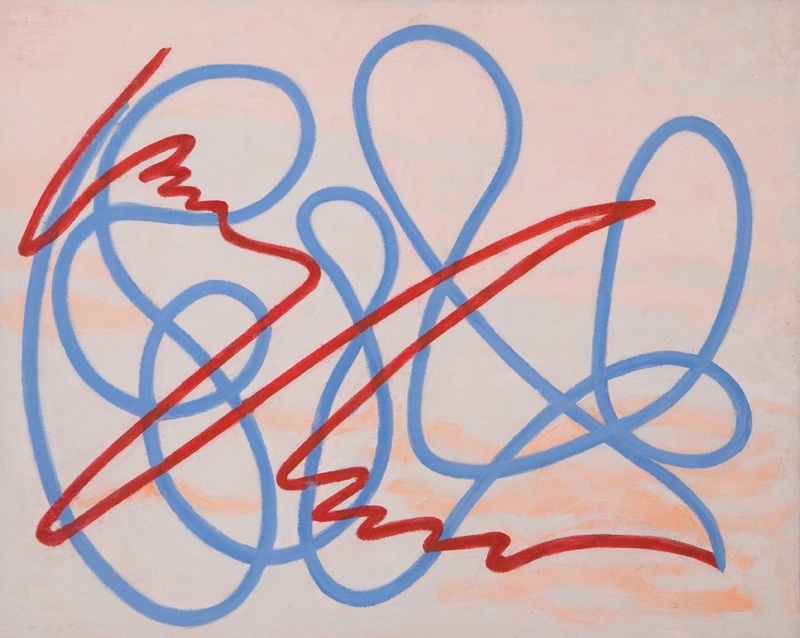 The loops and curls in some of her paintings suggests Arabic calligraphy. 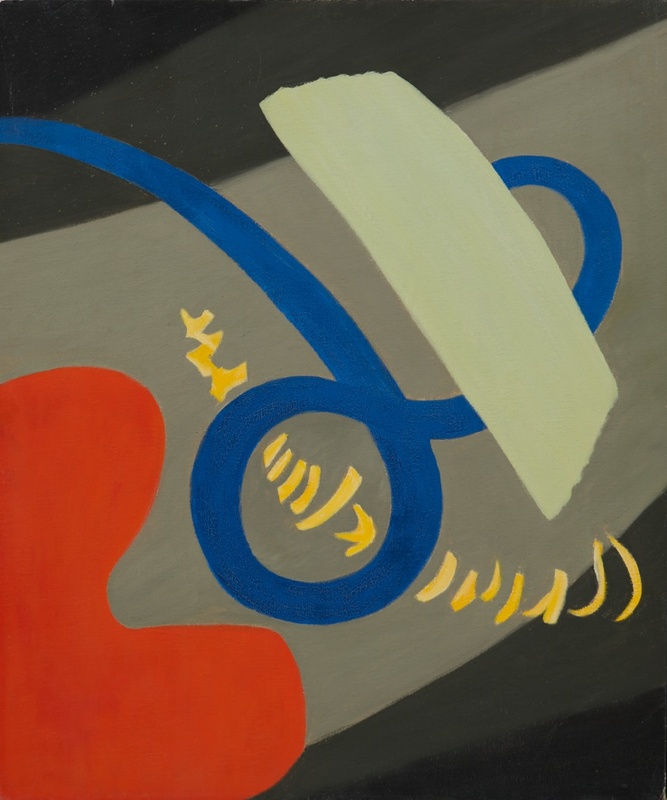 Born in Grelton, Ohio, she studied in Europe and was for a time Director of Fernand Léger’s Académie Moderne in Paris, but, after divorcing the sculptor Edmondo Quattrocchi and the arrival of the Second World War, she had to struggle to make ends meet. The end of her life was blessed with creativity, as you can see here. She died in New York City, nearly forgotten by the art world. 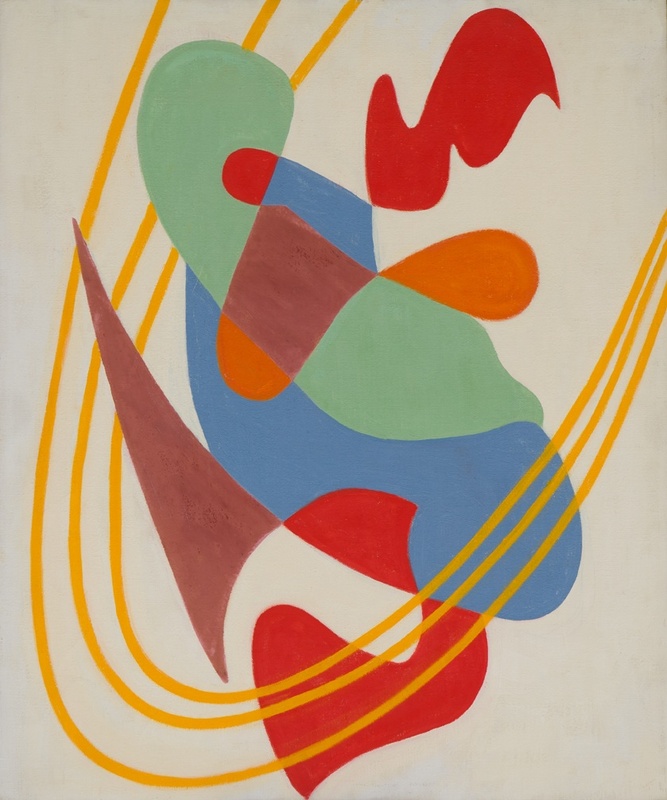 There is a great exhibition on women abstractionists waiting to be made, and Flora Crockett ought to be a part of it. It’s great to see a gallery reintroducing us into an unjustly overlooked artist; let’s hope museums are watching. And, having just recently been introduced to Lawren Harris’ abstractions, I’ve been having a good Autumn finding new inspirations. Flora Crockett is on display at Meredith Ward Fine Art, 44 E. 74th St., Suite G, New York, until November 14. The catalog is viewable online.